Neutron stars are exciting astrophysical objects. They are one of the final products of stellar evolution and are born in core-collapse supernovae of massive stars with masses larger than eight solar masses. They are characterized by typical masses around 1.4 solar masses with radii of only about 10 km. 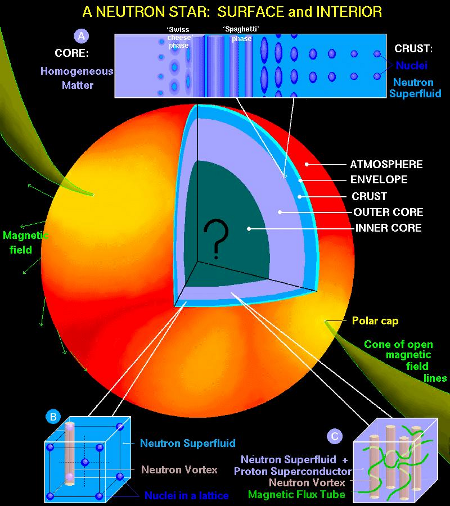 Thus, neutron star matter reaches extreme densities and may exhibit extreme conditions and phenomena, e.g., very strong magnetic fields, superfluidity and superconductivity or even hyperon or quark matter in the core. Neutron stars consist of several layers. In the crust, neutron stars contain neutron-rich nuclei. Going deeper into the neutron star, densities increase and neutrons can exist as free particles. In this region, the so-called outer core, neutron stars consist of neutron-rich matter, a mixture of about 95% neutrons and 5% protons with electrons. In the inner core, neutron stars may contain hyperon or quark matter. Our goal is to calculate the equation of state of neutron-rich matter to gain a better understanding of the structure of neutron stars. In these extreme conditions, controlled calculations with theoretical error estimates are essential. Chiral effective field theory (EFT) provides such a systematic expansion for nuclear forces. 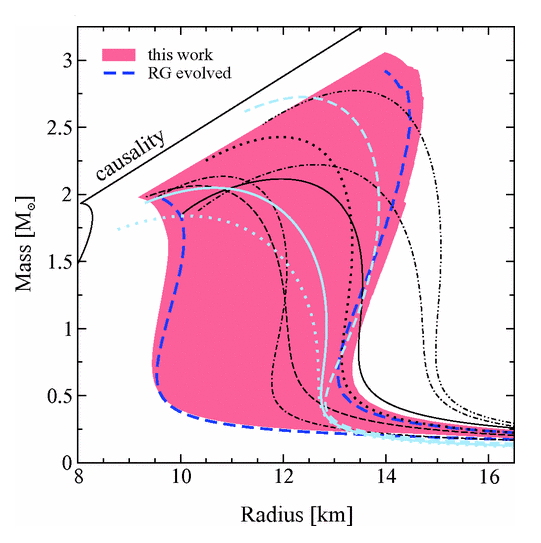 An important relation for neutron stars is the mass-radius relation, which can be both calculated as well as constrained by astronomical observations. Thus, neutron stars are a giant test lab for theories of the nuclear forces and link astronomy with nuclear theory.